This week's travel quote comes from Rolf Potts, an American travel writer and essayist. 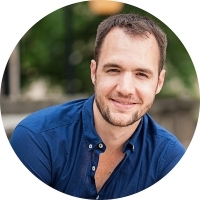 He is best known for his 2003 book Vagabonding: An Uncommon Guide to the Art of Long-Term World Travel , which serves as both a how-to manual for extended overseas travel and a philosophical treatise on life. Potts' importance to modern travel thought cannot be understated. His emphasis on travel-induced spiritual and personal development has inspired countless people to take time off from their normal lives to set out on journeys of self-discovery. USA Today even dubbed him "[the] Jack Kerouac for the internet age." In Vagabonding, Rolf Potts wrote, "The value of your travels does not stem from how many stamps you have in your passport when get home." In his opinion, the literal act of traveling—going from one country to another, thereby amassing a great number of passport stamps—is almost valueless (obvious exceptions include journeys that require great physical or mental exertion due to legal, geographical, or other challenges). 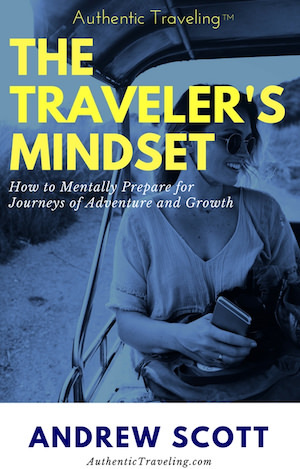 Rather, nearly everything worthwhile about travel comes from what occurs when you leave the airport or train station and begin to examine the reality of the place within which you've arrived. 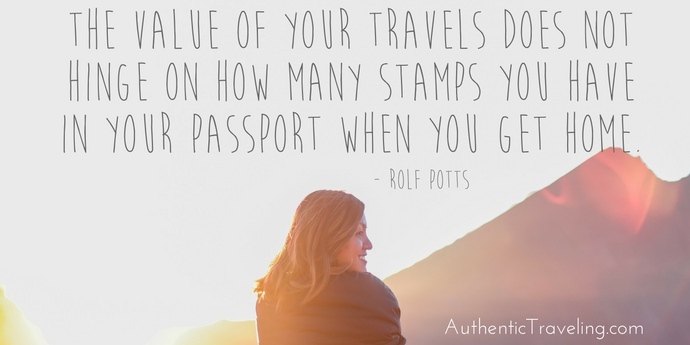 I share Rolf Potts' belief that the value of your journeys should not be determined by the number of passport stamps you have. The things that I travel for—the life-altering encounters, the exposure to new ideas, the personal growth opportunities—don't occur at the border crossing, but in the streets, cafes, and countryside. One should not try to collect passport stamps like Pokemon with the idea that it will somehow automatically make you more cultured or well-rounded. Not only does this increase your desire to rush from place to place, but it also gives you an excuse not to engage with locals, as you've already decided that physically being going is the most important thing about your trip. Thanks to reductions in the cost of transportation, advances in technology, and relative geo-political stability, the physical act of travel has never been easier for most. Yet, as Rolf Potts' quote illustrates, this may have paradoxically made it more difficult to achieve our goals when traveling. To make the most of your vacation time, avoid the 'Pokemonization' of passport stamps, and always focus on having impactful experiences.